Many churches are doing compassion ministry. Others are wondering how to and what to do to start compassion ministry. But one thing is certain: compassion ministry expresses the heart of God. Psalm 146:7–9 reads: "He upholds the cause of the oppressed and gives food to the hungry. The Lord sets prisoners free, the Lord gives sight to the blind, the Lord lifts up those who are bowed down, the Lord loves the righteous. The Lord watches over the alien and sustains the fatherless and the widow, but he frustrates the ways of the wicked." God wants your church to minister to the needy in your community. 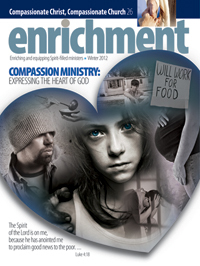 This issue of Enrichment provides practical resources for starting and maintaining an effective compassion ministry. 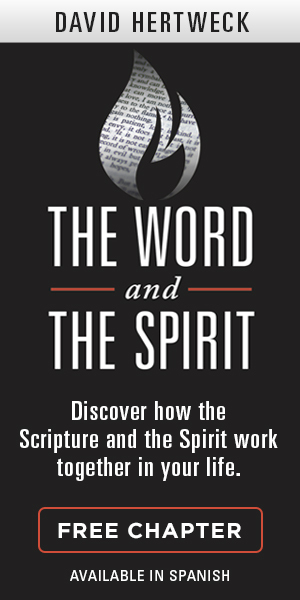 Learn from experienced compassion-ministry leaders like Kent Anderson, JoAnn Butrin, Hal Donaldson, Steve Donaldson, Elizabeth Grant, Bob Michaels, Samuel Rodriguez, Amy Sherman, Grant Standefer, Thomas Trask, and Scott Wilson.